Brewery85, Greenville's newest addition to the expanding craft beer community, will be officially open tomorrow. Expect crowds but go there and be a part of history. I'll be there, so stop me and say hello. Yep, with camera in hand and my very capable assistant, Catherine, at my side, I plunged into the three floors of activity this past Sunday at Barley's. 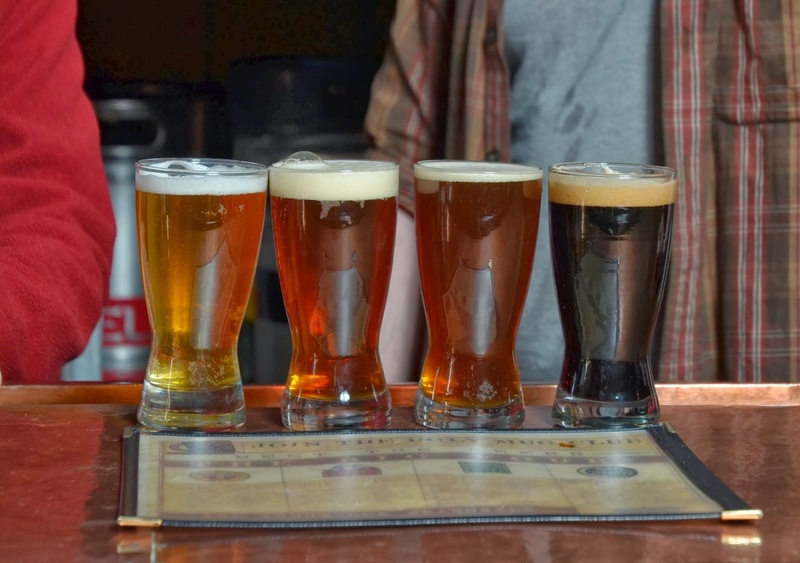 With 40 breweries participating, there was no shortage of beer tasting action. The big room was used for some of the biggest names in brewing. Jester Kings Mad Meg (left) was a good choice; refreshing, crisp, good. Barley's secret library room. Vintage stuff. Another view of the library room. Careful planning is always a good idea, especially with 40 breweries involved. Will and Meredith of Brewery 85 always seem to be having a good time. Catherine reminding me that there is yet another floor to discover! Anywhere there's beer, can pizza be far behind? Ask Amy! Made it to Swamp Rabbit Brewery and Taproom this morning to witness the tank off-loading as the eagerly awaited brewery hardware arrived by truck. Here, then, are a few shots.... more later after I do some editing and id'ing people. About to head out, camera and notebook in hand, to spend the afternoon with couple hundred of my closest friends, all dedicated to trying new (and old favorites) taste sensations to get 2014 off to a good start!! 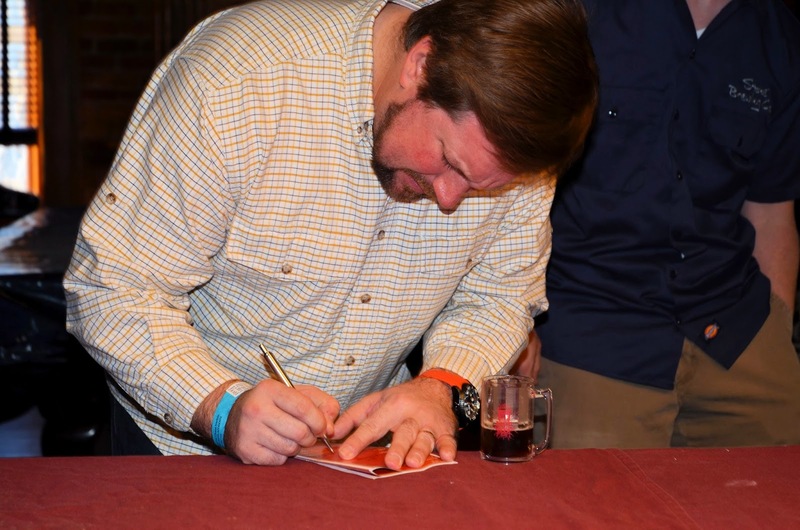 Optimistic Outlook for Craft Beer in SC for 2104. Found this article to be very interesting and full of promise for a great 2014! 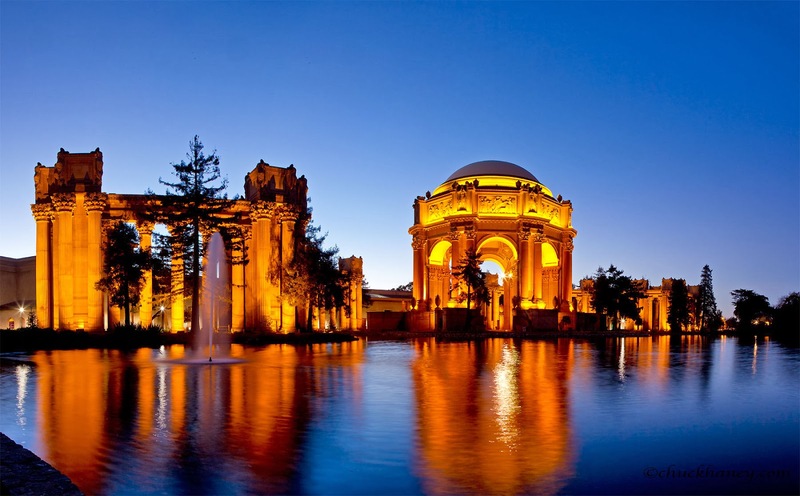 Took place last night (Jan 16) in San Francisco at the Palace of Fine Arts. Got get working on this list right away! I've had only six so far. Scenes from last night's The Community Tap event featuring two of Brewery 85's new releases. Can you say, "packed, boy and girls?" Great turn out in the 6-7 hour when I was there and I suspect it stayed that way for quite awhile. I enjoyed their Southern Style Pale Ale; very malty up front, but not sweet, thanks to really deft hopping. Dense head lingered and brought the malt notes forward. Moderate 7.01 % abv adds to the drinkability. I expect this one to be popular with those who don't respond well to hop-bombs (hard to imagine, I know) but still want a big structure and dry finish. Being The Tap, there were other offerings as well and the Avery Maharaja DIPA really rang my and the wife's taste-bud bells, so we left with a growler of it. Gonna be a fun afternoon, sort of laid back and slow, letting the 10% abv glide slowly across the palate. Dang, what hard work! 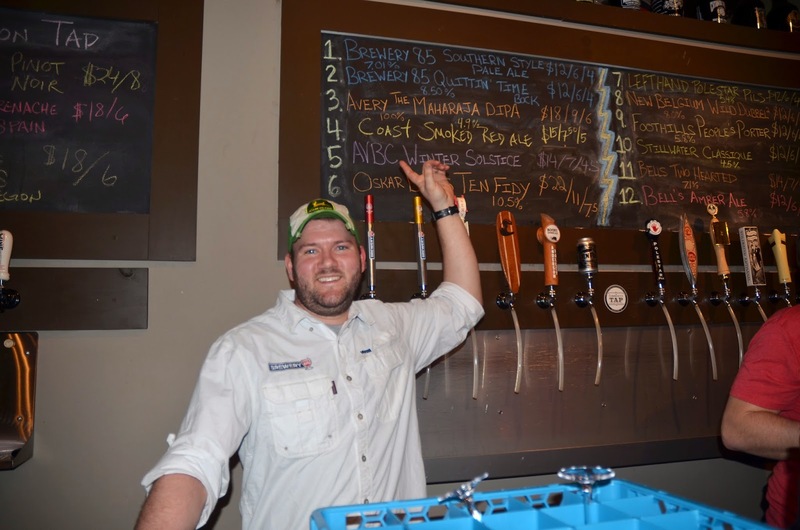 Brewmaster Will McCameron calling attention to the first two items on the menu board. Good turn out due to the much-anticipated release of Brewery 85's first releases. The Community Tap's expansion plans will ease the congestion on popular nights like this. Will and Meredith (where's Jeremy?) pose with some character who wandered in early in the evening. I also indulged in the Avery Maharaja DIPA and took a growler home. Creamy, hop bomb. Busy Day at Blue Ridge Brewing, Downtown Greenville, SC. Busy day down at the Blue Ridge Brewing Company, where I found Brewmaster Dana Dickinson and Wofford College Intern Kat Kilpatrick wrestling kegs of Little Willie Barley Wine and prepping for a Rainbow Trout ESB transfer. Lots of cleaning going on... Dana tells me that a mentor brewmaster gave him some sage advice: "Think three times more often about cleanliness than brewing. Stay ahead of the curve." Well, I can personally attest, all that was going on, even while being pestered by a pushy photographer [*blush*]. Keg wrangling --- good for muscle tone! He seems to be enjoying his work. She does too. Of course, being able to drink on the job is probably a factor! Dana checking temps prior to some tank cleaning. Kay and I really liked this Barely Wine; not sweet and very drinkable. Time for some sampling, thanks to my hosts.